Since lot of complaints are reported against high fare collected by auto rickshaw , specially in Chennai urban and sub urban location, Tamil Nadu government passed an GO to regularize the Auto rickshaw fare around the Chennai Metro Politan area. Minimum charge for first 1.8 Kilometers : Rs 25. For each additional Kilometer. : Rs 12. Detention (Waiting) charges : Rs 3.50 for every five minutes. Night service charges (between 11.00 p.m and 5.00 a.m) : In addition to the total fare calculated at the above rate, an additional charge of fifty percent of the total fare. As per the motor law, every auto rickshaw should have been fixed with digital electronic fare meter, which is enabled with GPS and Printing features. These meters will be provided by the government at free of cost. 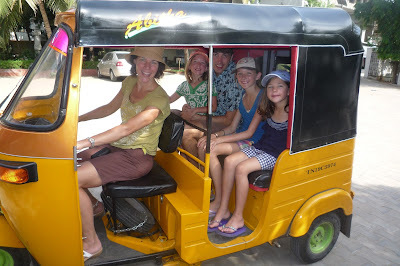 The important thing is to provide the register number of the Auto rickshaw. The name and details of the complaint number will not be disclosed.